Time magazine on Thursday unveiled the cover of its latest issue : a photo of Trump and Putin ... morphed into one person. The July issue's cover comes after the two leaders' controversial summit in Helsinki, Finland, earlier this week. 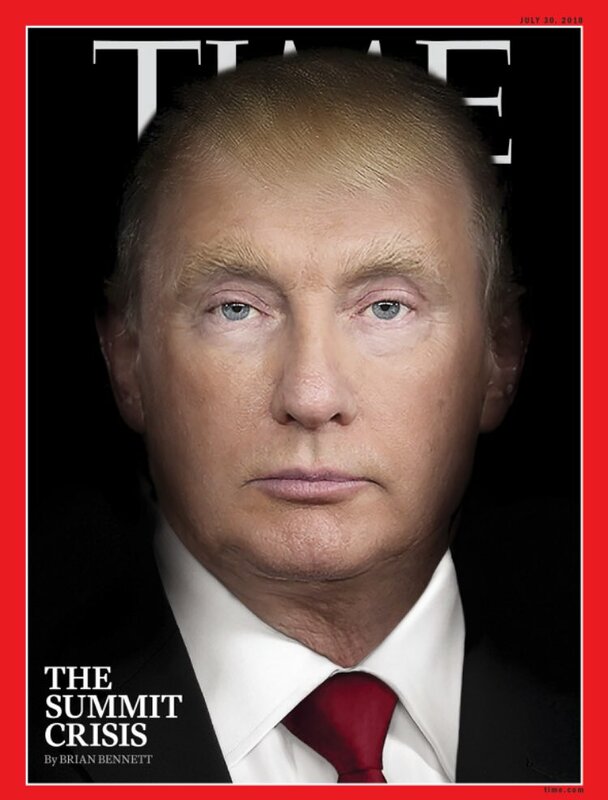 This is not the first time Time magazine has poked at Trump on its cover. It's January issue looking at Trump's first year in office featured a drawing of Trump with his hair on fire.